I’ve been back for a week and already have been snowed, hailed, rained, frozen, and flooded. The electricity held but the Internet was down most of four days, so I got a lot of behind the scenes work done, as well as unpacking. I’m playing catch up as fast and furious as I can amidst all the busy holiday activities. I’m really looking forward this weekend to the John Doan holiday concert in Salem. John is a friend of ours and one of the most entertaining storytellers and performers, specializing in the harp guitar, and we’re really looking forward to celebrating the holidays with he and his wife this year. I recently wrote about John on the Blog Herald in Three Lessons That Will Change Your Blog. The last issue of my weekly digest was Weekly Digest: Lorelle Recovers on the Road, Reports on Conspiracy Theories, With More Challenges and Struggles. Blog Challenge: Write a Political Post challenges readers to get a little political with their blogs and experiment with the art of political writing and commentary. Staying on Track with WordPress 2.4 News is a quick introduction to Westi’s weekly reports on what’s happening with WordPress 2.4, and where to find more tips and news on the next version. Weekly Digest: Lorelle Back Home Finally, Conspiracy Theories Everywhere, Will You Go Naked, and More is the last weekly digest. Ask Yourself How You Should Get Me to Read Your Blog asks an important question. What would it take to get me to read your blog? It also offers tips for what it takes to have readable and interesting content. Are You Willing To Go Naked For One Day For Akismet? covers the interesting proposal Akismet asked: “Would you be willing to turn off Akismet’s comment spam protection for a day?” The responses have been very interesting. I Need Your Blog Conference Expertise and Help: On the Blog Herald, in Which Blogging Conference Would You Go To?, I’m asking readers to help me create a big list of all the blog conferences around the world coming up next year, including why we must go and what benefit these conferences offer. Help add your favorite to the list. Blogger and Podcaster Magazine: This month’s issue is on creating a blogging editorial calendar to help you find, build, and plan your blog’s content. The last issue of Blogger and Podcaster Magazine featured an article I’ve written on the mistakes and overlooked tips that I’ve found some veteran and top notch bloggers overlook, helping you to learn how to do these invaluable things on your blog to help your SEO, accessibility and web standards, and increase your readership and traffic. 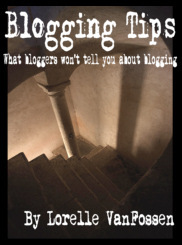 December’s issue on blog writing tips and how to improve your blog writing skills. I’m working on January’s issue right now, but expect to see me as a regular on this hot new magazine next year! It appears my book, “Blogging Tips: What Bloggers Won’t Tell You About Blogging” is a hot item for giving to your favorite blogger during the holiday season. Sales have kicked up and I’m barely able to keep up. I’m still sending out autographed copies at the introductory price – while supplies last (sigh) – so get your order in soon before I run out before the holidays. You can order a copy from SplashPress or the new Blog Herald Bookstore. If you would like to order multiple copies, please email me first as that requires special handling. From the response to Staying on Track with WordPress 2.4 News , a lot of people are very excited and looking forward to the next version of WordPress. I’m very excited about the improvements to the administrative interface, something that has needed help for a long time. I was also surprised to see so many interested in this week’s Blog Challenge: Write a Political Post. There have been some interesting blog posts from those who accepted the challenge. Improving Your Blog: Clarity covers the number one think lacking in many blogs and websites: a clear purpose, identity, and content which supports the design as well as the intent. Improving Your Blog: Clean It Up overs what it really means to clean up your blog’s design and content. Improving Your Blog: Consistency looks at how to build trust and integrity with consistency in your blog. Improving Your Blog: Creativity covers how to break the same old song blahs to make your blog really interesting and attention-getting. When Your Blog Forces You To Keep Your Commitments got a lot of people thinking about how a personal commitment to a project can be enhanced by incorporating a blog. I heard an interview on NPR with a Seattle journalist who used a blog to keep his commitment to learn how to cook as he cooked a meal for each weekend’s football team, using a recipe and information about the Seattle Seahawk’s opponent’s city. Which Blogging Conference Would You Go To? invites you to help me create a calendar list of the “must attend” blogging conferences next year. What Makes Bloggers Want to Link to You? Do you think you know or do you really know? I list the tips you need to know that make bloggers really want to link to your blog content, and to your blog. Freelance Switch – Focus on Actions to Get More Done in Less Time is a “can do” method of cutting through your procrastination habits. Business Pundit – Management by Semantics is a great look at how knowing the words doesn’t mean you know anything. HBO, NBC, ABC, FOX – PLEASE Take My Money! is a great rant against the extreme dullness of what’s on television today. Kevin Allison/Financial Times – Apple’s rising popularity lures hackers is a great warning to all Apple users who’ve been bragging about security. Business Pundit – Dirty Tricks of Viral Videos looks at viral video marketing, what works and what doesn’t, and how easily we are sucked into this “new” advertising slime. Business Pundit – Does Teaching Sell? looks at Brian Clark’s new online teaching method as a good idea, but not the end-all-be-all of a long term educational and money making method. This entry was written by Lorelle VanFossen and posted on December 8, 2007 at 4:14 pm and filed under Weekly Digest, WordPress with tags hacked, hacking, how to use wordpress, security, security vulnerability, vulnerability, wordpress, wordpress help, WordPress News, WordPress Tips, wordpress tutorials. Bookmark the permalink. Follow any comments here with the RSS feed for this post. Post a comment or leave a trackback: Trackback URL. How I gonna get your book as I am in Malaysia? The same way the rest of the people in Malaysia get it. Order it. 😀 I send a lot of books overseas, especially to the Philiphines and Malaysia. It’s so exciting to see so many bloggers from those areas. How many weeks usually the book will arrive? My book? Depends upon where it is going. If it is within the United States, it can be from 3 days to 2-3 weeks. Depends upon how the US Post Office is handling media mail at the time of shipping. If sent internationally, it can be 3 days to 6 weeks. It depends upon all the mail services and how they handle the process. Is that what you are asking about? without a timely topic with meaningful content, a blog is worthless.